Meg and Mog is the first in the popular children's series about Meg the witch and her cat, Mog. In this title, Meg goes to a Halloween party but the spell-making goes a little wrong!! This book features simple sentences and bold, colourful illustrations making it ideal for early readers. 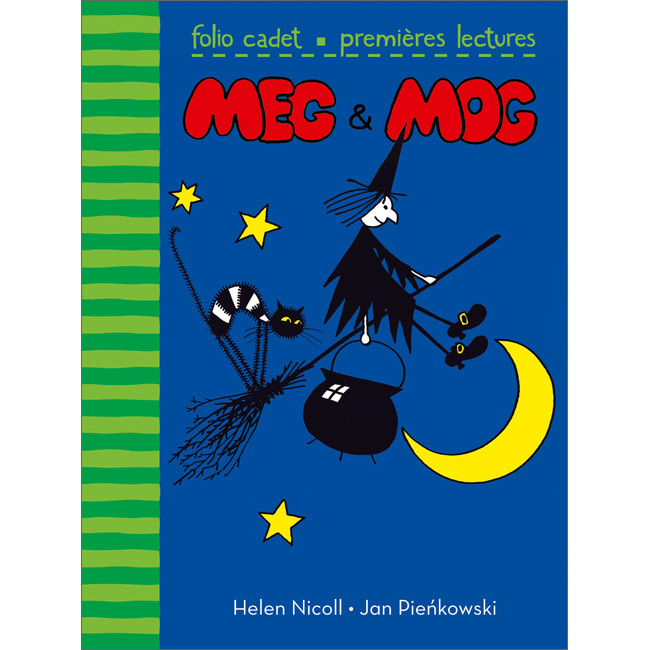 Meg & Mog is written entirely in French with no English translation or pronunciation guide as it is intended for native users. 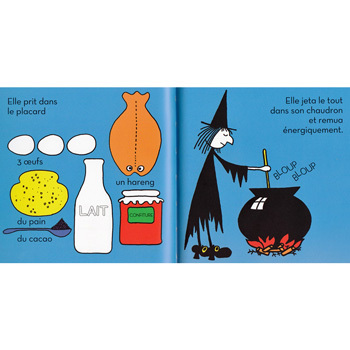 The language is fairly simple as it is aimed at young children.